Next sign up date: September 2019! 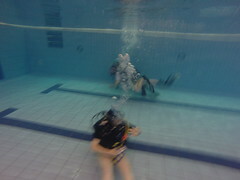 We are thrilled to be recruiting a new shoal of novice divers and cross-overs (those with previous qualifications) in September 2019. Be sure to pay us a visit in front square during Fresher’s week where we’ll be able to fill you in on all the details. For further enquires regarding joining as a novice or cross-over, please contact our Membership Officer, Amy, at dusac.membership@gmail.com. 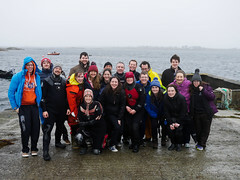 Dublin University Sub-Aqua Club is one of the biggest, longest established and most active scuba diving clubs in Ireland. 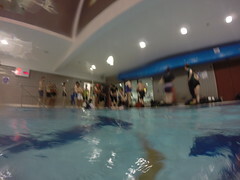 We’re also a friendly & sociable club with a great mix of people and a packed events calendar. As an award-winning branch of the British Sub-Aqua Club (BSAC), we can give you all the skills you need for scuba diving, and qualifications that are recognised worldwide. Based in Trinity College, we dive throughout the year in Dublin Bay, all around Ireland, and abroad.To see where we’ve dived and what we’ve seen, have a look at our dive guide and gallery. Besides this site, you can find us on our Facebook page and follow us on Twitter to keep up to date with all our public events.